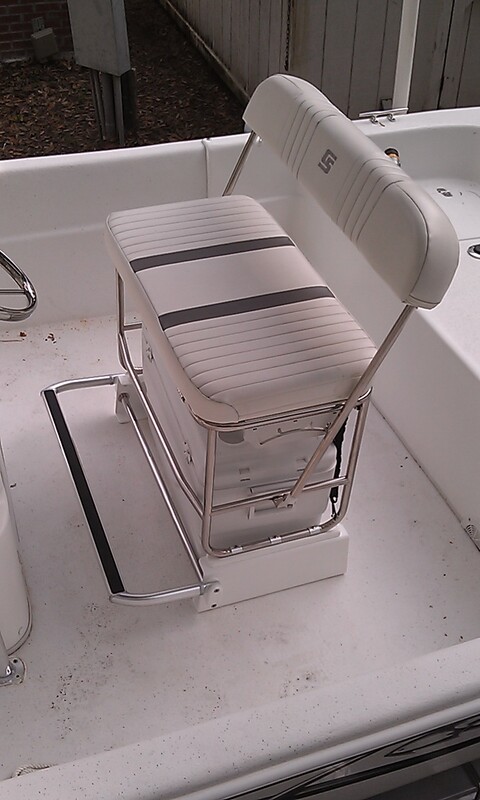 Our Cooler seat kit will raise your factory Carolina Skiff swingback seat into a leaning post. 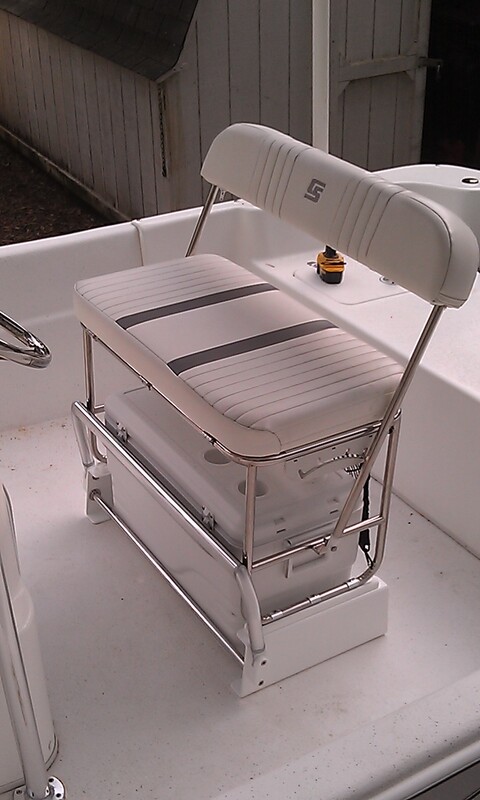 This kit will fit the factory stainless steel swingback seat with removable cooler found on 2011 and later Carolina Skiff boats. PLEASE NOTE: The cooler seat shown above features the OPTIONAL deluxe footrest. This footrest is available separately and is not included in the basic kit.